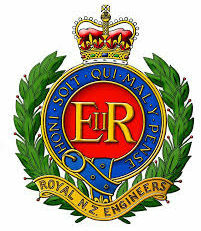 “Once a Sapper, always a Sapper” – “UBIQUE” and “I NGA WAHI KATOA” (meaning “Everywhere”) – The Corps of Royal New Zealand Engineers, which celebrated its 115th birthday in October 2017, has a proud record of service in both war and peace, in New Zealand and overseas. The men who filled the ranks of the Corps in its first fifty years were the original Militia and included British Engineer officers and other ranks who, in both military and civilian guise contributed significantly to the building and development of New Zealand and its essential infrastructure. Building construction and housing development and many other functions. Seeking and development of construction resources (milling trees, quarrying, etc. ), field defences and protection, hard points, provision of bunding and hardstands, to name a few. Since 1945, regular and territorial force (Army Reserve) Sappers have played an increasingly important role in the New Zealand Army. Apart from their efforts in several smaller conflicts in Asia (eg. Japan, Korea, Borneo, Malaya, Thailand and Vietnam), they have applied their skills to a variety of tasks in support of the community and, more recently, have been heavily involved in peacekeeping and demining operations, including those in Cambodia, Laos, Sudan, Pakistan, Angola, Namibia, Mozambique, East Timor, Afghanistan, Bosnia, Iraq, Sinai and Solomon Islands from 1989 to the present day. Disaster relief in the form of structural rebuilding and repair of services among the South Pacific islands and nations is also an important task on an as-needed basis. Plus, regular deployments to Antarctica with the rebuild of Scott Base and maintenance of facilities on the ice. The Kiwi Sapper has an enviable record of courage, dedication and determination – qualities that have established the Corps reputation for exemplary service over a hundred years. The New Zealand Sappers website has been created and expanded to help those involved in the Corps to have a home and focal point on the World Wide Web. Also, for the wider community to access and understand what the Corps is all about and share in the archival and heritage material provided in this site. Follow the link to this website at www.nzsappers.org.nz.